Long distance relationships take work and effort, and social media is our medium. Off to Taiwan for three weeks to film the TVB drama Assassin <殺手>, Moses Chan (陳豪) has been MIA in Hong Kong. 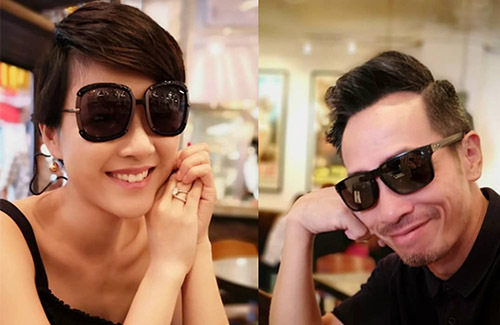 His wife and mother of this three children, Aimee Chan (陳茵媺) is missing him dearly, and issued a “wanted” notice for Moses on Instagram. Assassin also star Wayne Lai (黎耀祥), Ali Lee (李佳芯), and Elena Kong (江美儀). It is produced by Joe Chan (陳維冠).